The home of Gloucestershire will host three matches at the ICC Men's Cricket World Cup 2019. Three matches will be played at the Bristol County Ground during the ICC Cricket World Cup 2019. Those three fixtures will double the number of Men’s World Cup games the ground has held, following one in 1983 and two in 1999. More recently, the Bristol County Ground hosted eight fixtures at the ICC Women’s World Cup 2017, including England’s dramatic semi-final win over South Africa. The ground came into existence in 1889, and was bought by none other than WG Grace! Since then, Gloucestershire County Cricket Club have called it home for nearly 130 years. To find out more about the accessible facilities and services at the Bristol County Ground, check out the CWC19 Access Guide here. It’s never too early to start thinking about your travel! 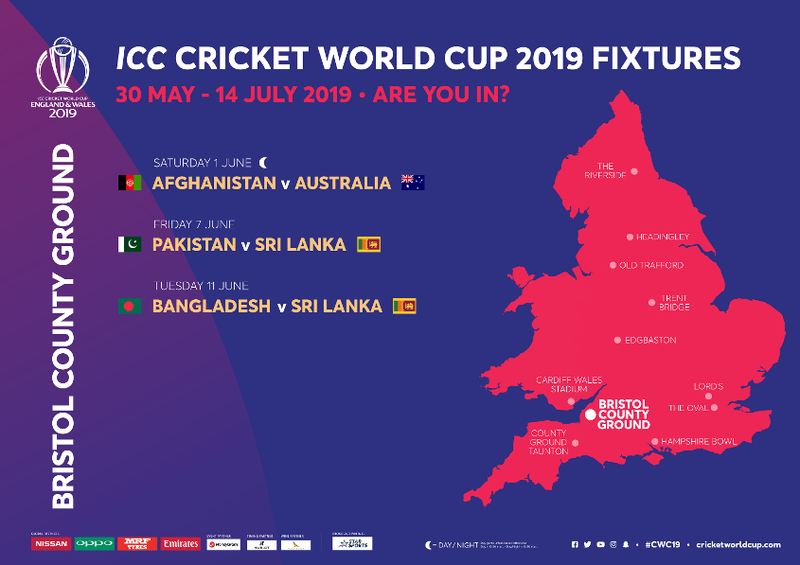 Plan ahead so you can make the most out of your day at the Bristol County Ground during the ICC Men’s Cricket World Cup 2019. The Bristol County Ground is located in the Bishopston neighbourhood and is approximately 2.5 miles from the city centre. There are plenty of public transport options so please leave your car at home or use our Park & Ride service. Walking and cycling are good choices for those staying close by. Bristol Parkway Train Station offers excellent rail connections, extensive parking and will also serve as a Park & Ride site. The parking at the station, as well as the adjacent Stoke Gifford car park, will be available during CWC19. The parking is a paid service. The Park & Ride shuttles will stop at Ashley Down Road which is approximately 300m from the Ashley Down Gate entrance. The shuttle will operate on tournament match days only (1st, 7th and 11th June) and will commence service from Bristol Parkway three hours prior to match start, with the return service from the cricket ground back to Bristol Parkway resuming approximately 30 minutes before close of play. Park & Ride shuttles are accessible and will be free of charge to match ticket or accreditation holders. Intercity buses: Severn Express (Newport – Chepstow - Bristol) and T2 (Bristol – Thornbury). Bristol County Ground is located approximately 2.5 miles from Bristol Temple Meads Train Station and 4.5 miles from Bristol Parkway Train Station. Both stations are frequently serviced by an extensive rail network from London, Cardiff or further afield. A free shuttle service will be available on tournament match days (1st, 7th and 11th June) between Bristol Parkway and the ground. Local bus services 70, 71, 72 and 73 operate between the ground and Bristol Temple Meads. The nearest train station to the ground is Montpellier Station which is approximately one mile walk from the venue. The station serves the Severn Beach Line which operates twice-hourly services on a single-track line from Bristol Temple Meads to Severn Beach. For general rail timetable information visit www.nationalrail.co.uk. Our World Cup Cricketeers will welcome you and offer support and information at Bristol Parkway as well as on the venue side of Gloucester Road and College Road. Cycle racks are available free of charge at the ground. Due to venue location in a very densely-populated residential area, there will be no event parking available at Bristol County Ground. We strongly recommend you use public transport, active travel or Park & Ride services. Parking for blue badge holders is very limited at the ground and must be pre-booked to secure your space. Spaces are allocated on a first-come, first-served basis. Booking information will be confirmed soon. There is currently no designated drop off & pick up area or taxi rank. Bristol sits on the River Avon in South West England, and is famed for its maritime history, fiercely independent spirit and strong eco-conscience that earned it European Green Capital status in 2015. 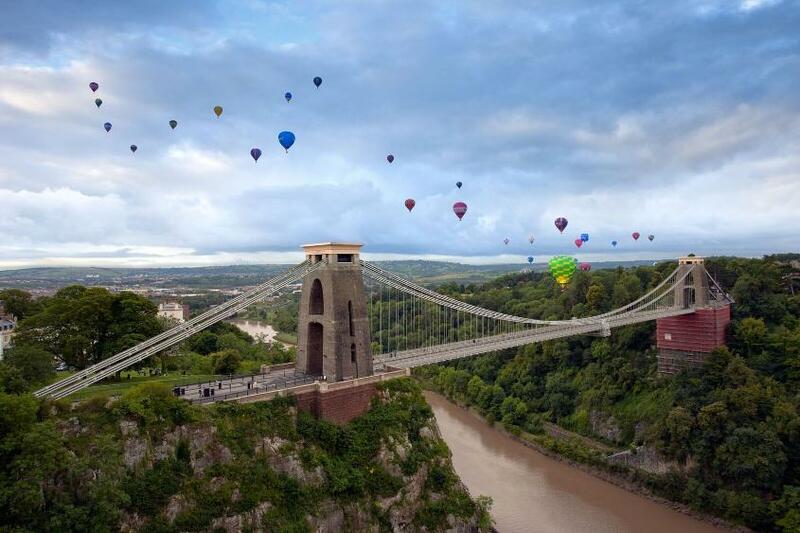 Add to this a thriving food and drink scene, year-round festivals, cutting-edge street art culture, proximity to spectacular countryside and iconic local landmarks, and it’s no wonder Bristol is renowned for its distinctive identity. Birthplace of Banksy and other iconic artists, Bristol boasts an incredible array of inspiring street art and graffiti tours are a ‘must-do’ experience, with the artists themselves guiding visitors around the city's ever-changing urban outdoor galleries. As you’d expect in such a cultural hub, there are excellent museums and galleries in Bristol. Explore M Shed, Bristol Museum & Art Gallery, Royal West of England Academy, Arnolfini and Watershed along with the Old City buildings, cathedral and theatres, for a serious history and culture fix. Bristol is home to over 400 parks and gardens - from sprawling estates, to historic squares and wooded trails harbouring beautiful cityscapes, you’re never far from green space in the city. Named as the UK’s first Cycling City, you’ll also find a hub of national cycle routes as well as a network of city bike lanes and organised tours. Beautiful countryside surrounds the city, making it a great base for days out to nearby South Gloucestershire, the Cotswolds, Somerset, Bath and Stonehenge. The ICC Cricket World Cup 2019 has a full, dedicated security team working on plans for a safe and secure tournament for all participants and spectators. We are working with police in all our host cites and the national security services to ensure the security provided at the tournament is of the highest order, while existing security staff at all CWC19 host venues are receiving additional training in the build-up to the tournament. There will be enhanced security plans at all our host venues with visible security measures taking place, as well as other non-visible measures happening throughout the tournament, inside and outside the stadium.